Victoria Carpets is a founding member of the Carpet Foundation, an organisation set up to raise the profile of the UK carpet industry. The Carpet Foundation has successfully worked alongside retailers to attain a working code of practice for the industry, that is approved by the Office of Fair Trading. We have won numerous industry awards for our products including, most recently, the 2007 annual Flooring Industry Award for Best Product 2006/2007. This was awarded to our Tudor Twist Collection, winner of the award over several years. 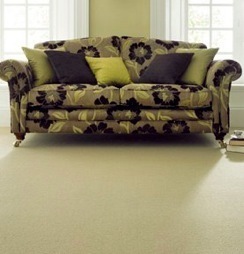 We are proud of our reputation for producing high quality carpets that are well engineered to stand the test of time. deciding on Kidderminster, Britain's premier carpet manufacturing town.